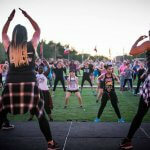 The sounds of a nightclub and the sight of people jumping and moving to the beat fill Margaret T. Hance Park Tuesdays from 6 to 7 p.m. in a new pilot fitness program that has exceeded expectations. 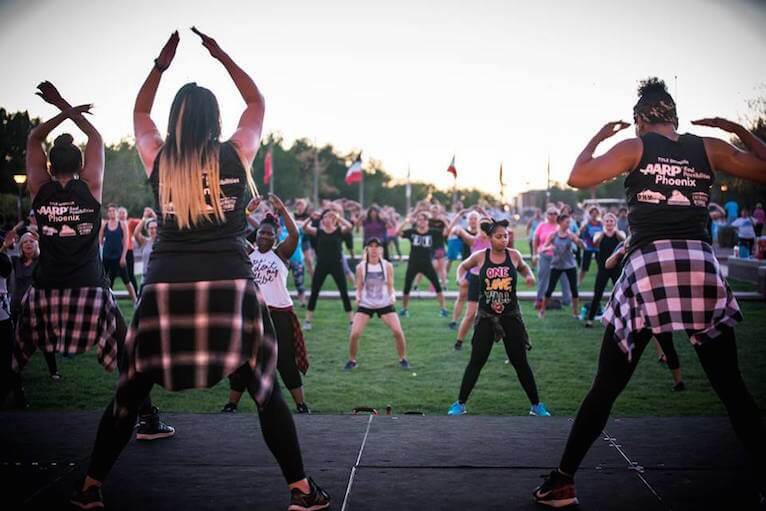 The City of Phoenix’s FitPHX “Fall into Fitness” series, sponsored by AARP Arizona, has taken over a section of the park near the Central Avenue bridge. The free series runs through Dec. 5 and offers city residents of all ages a chance to get a workout that they can modify to suit their particular needs, says Instructor Lauren Saks. Saks came up with the program based on a concept implemented in the West Valley, and hopes the pilot program will continue to be funded in the spring. Anissa Jonovich, FitPHX coordinator, says another goal of the program is bringing socially positive fitness opportunities to the community that are age friendly and family friendly. Each week offers different fitness formats to encourage continued participation, she explains. For those worried about the safety of the park as it darkens outside, Jonovich notes that extra park rangers have been added to make it a safer environment for all. Currently, Jonovich says the City of Phoenix ranks number 33 of the 50 top cities in terms of its wellness rating, which is based on a variety of factors, such as wellness policies, parkland, recess time in schools, etc. Washington, D.C., is the top-ranked city for health in the nation, she says. Parks there are within a 10 minute walk, she notes, compared to Phoenix, which is hampered by being spread out over a large area without access to public transportation with less bike access, among other factors. AARP is proud to be a lead sponsor of the program, says Paula Wright, AARP state director of community outreach, because health and wellness is one of its priority areas. 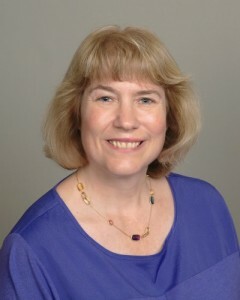 Although AARP’s membership is for those 50 plus, she says it’s part of an effort to engage its membership in new ways. 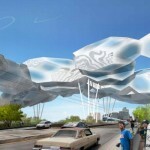 “We are absolutely pleased with the turnout” at the Hance Park pilot program, Wright adds. Jonovich says it depends on funding whether the program can continue past its Dec. 5 ending date, but regardless it has been a good experience. “It brings something positive and energetic, and it really reaches out to the community,” she explains. Jonovich says the program will have a Halloween theme for an upcoming session and regularly has social media promotions on Facebook. Saks says they also have contests where participants post photographs to #FitPHX. There are raffles, T-shirt giveaways, shaker bottles and some gyms have donated memberships. The 60 minute class involves three formats of 20 minutes each, with modifications available for all fitness levels, Saks says. 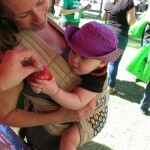 For more information and registration, check out the website at phoenix.gov/fitphx. 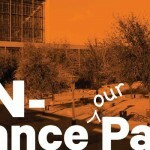 The workouts take place in the west side of Hance Park, at 67 W. Culver Street. 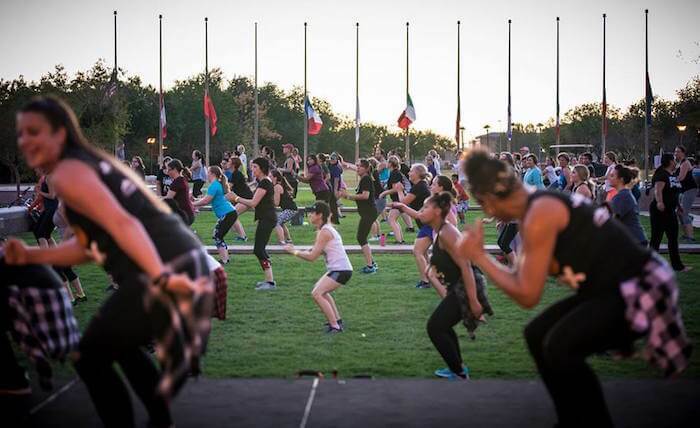 Created in 2013, the FitPHX initiative is led by Mayor Greg Stanton, Councilman Daniel Valenzuela and Olympic Gold Medalist Misty Hyman with the goal of improving health and wellness in the region and making Phoenix one of the healthiest in the nation, according to a news release. The initiative has created innovative collaborations between government, private sector, nonprofits, and universities to develop programming that gives citizens tools and education to be healthier.